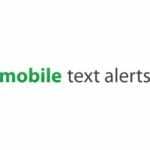 Mobile Text Alerts Promo Code Coupon - Exclusive Discount! We have an exclusive Mobile Text Alerts Promo for you! Many local businesses and organizations have found mass text message alerts to be very effective for reaching customers and members directly. Instead of fighting with email spam filters and costly direct mail, they are able to reach many of their best customers or members directly on their mobile phone! 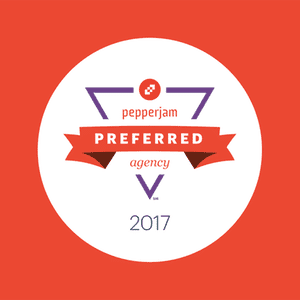 They’re sending special announcements, coupons, seasonal promotions, sales information, and more and enjoying great results. At Businesswright, we started offering a range of local SMS services earlier this year. We have partnered with Mobile Text Alerts to handle the administrative side of things so we could focus on the marketing equation. As a Mobile Text Alerts user ourselves, we are now able to offer our referrals a lifetime 5% off coupon discount so contact us for business text messaging assistance and our exclusive Mobile Text Alerts promo code. Use the form below — let us know how we can help you with Mobile Text Alerts. We’ll instantly give you our 5% off promo code. Tip: When you receive our Mobile Text Alerts promo code, enter it into the promo code box and click the “Apply” button. Enjoy 5% off for the life of your account! Why Send Mass Text Alerts? There are many benefits to sending your customers and members text messages and it’s very easy to do with Mobile Text Alerts. In addition to many local businesses, their services are commonly used by teams, clubs, churches, schools, and organization that need to stay connected with their members. Common uses for mass text messaging is to alert your subscribers to new sales, event and weather cancellations, special time-limited promotions, seasonal promotions, and last-minute opportunities. It’s also a good way to increase business on slow days — just sent out a quick coupon for that day only! You can also send out coupons for holidays and other special occasions. Don’t forget to create your own special occasions also to commemorate anniversaries or highlights related to your particular group or industry. You can also upgrade your Mobile Text Alerts plan to include short codes for easier subscription. Pick your own keyword that fits with your brand or organization and include it on your sales receipt and entry way to gain new subscribers. There are several other enhancements available also so be sure to check them all out. In conclusion, we’ve been happy with Mobile Text Alerts and are pleased to recommend them to our readers. Let us know how we can help you get setup with mass SMS alerts — we can handle everything for you! If you want to DIY, then don’t forget to use the form above to request and use our exclusive Mobile Text Alerts promo code for 5% off your monthly or annual order! Just following up to make sure you received the code I emailed you about a week ago? Thanks for contacting me!